A month ago today, my father passed away. Actually, he was killed. In a plane crash. You might have heard about the Ethiopian Airlines flight ET302 flying from Addis Ababa, Ethiopia to Nairobi, Kenya on March 10. The plane crashed after only six minutes in the air, killing 149 passengers and 8 crew members. The shock of his death didn’t sink in until almost 48 hours after I got the news. That’s why today I want to talk to you about how to cope with grief and loss. You see, my father in law had passed away in October, my mother in law in February, and my dad in March. My son lost his remaining three grandparents in a matter of six months. The immense shock, pain and sadness are beyond anything I could ever describe to you in words. So many questions regarding my dad’s death quickly took over my entire existence. Did he suffer? Was he aware of what was happening? Did he have time for any last thoughts? Pass out or have a heart attack before impact? Did he pray to God to save his soul? Just unspeakable horror. Then the “what if” questions set in. What if he had missed his flight? Or had taken the next flight? All the what ifs and why? This could have happened to anyone. So why him? Well, this is a question we will never get an answer to. 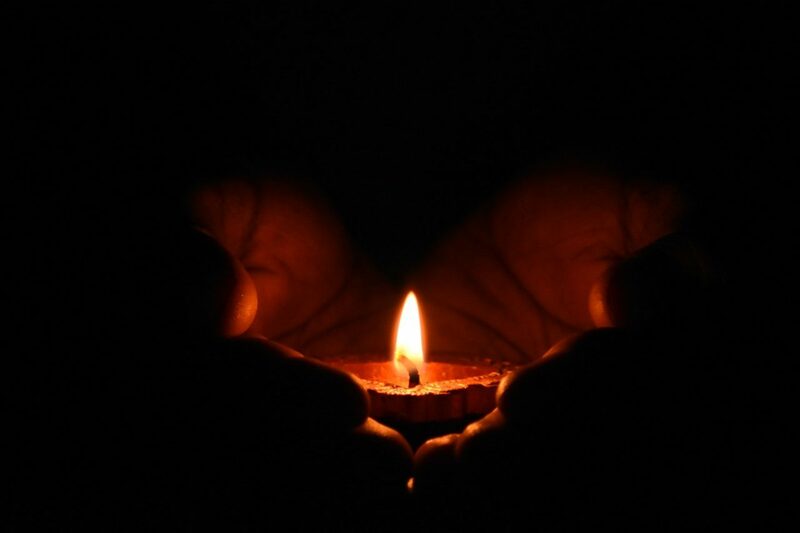 As you can imagine, and what is often times the case, is that the family members or loved ones of a victim of a plane crash face do not have a body to mourn. We were left with a series of memorials and a funeral without a body. My siblings and I also learned a lot about my father. Every single story that was shared about our father was about his love for people, his kindness, and his willingness to help. So today, I want to share with you the stages of grief and the steps you can take to move through the pain of losing or loved one. Most times when we think or speak of grieving and loss we think of death. There are many other kinds of loss in life. A loss of a job, an illness, or even a divorce, to name just a few. Positive changes often times involve loss. Grief is the process we experience and go through as the result of a loss in our lives. It’s a natural reaction to loss that involves a series of stages. Our individual experiences of grief vary so the stages may overlap, or come in a different order. During this process, we may experience myriad emotions, such as confusion, sadness, fear, guilt or hopelessness. Before we get into what the five stages are, you have to remember that not everyone experiences these in the order listed below, and others may not experience all of them. “This isn’t happening, this can’t be happening,” is a normal reaction to hearing the terrible news. We repeatedly say this to ourselves in order to numb the emotions and pain we are feeling. When you cope with grief and loss, denial is usually the first stage of dealing with what has happened. It is in this stage of shock and denial that nothing makes sense. It is a great defence against the brutal reality of what is now your life. Realising that everything is out of your control. For me, it blunts the impact of the loss. Let’s just say it’s our mind’s way of protecting us from more pain. This is where I am currently. My denial has faded and this reality and its pain have re-emerged. The circumstances of my dad’s death truly anger me. When Airbus announced in 2010 it would make a new fuel-efficient and cost-effective plane, Boeing rushed to get out its own version. That version was the 737 Max aeroplanes. Boeing added a computerized system called MCAS to prevent the plane’s nose from getting too high and causing a stall. MCAS is unique to the Max jets and isn’t present in other Boeing 737s. So basically, an automated control system caused the crash. That’s why I am angry. The entire situation is so unforgivable. Guilt often accompanies bargaining. Here’s when we start to wonder whether something we could have done or said who have helped save our loved one. In the hope of somehow returning life to what it was, we often start bargaining with a higher power. Wishing, hoping and praying that our requests for a miracle and help will be heard. To have the ability to go back in time and make changes. A part of how to cope with grief and loss is to carry yourself through the states. Depression can serve as our way of reacting to the adverse circumstances. In this stage, we begin to realize and feel the true extent of death or loss. It means you are mostly on the way to acceptance, however, this stage is critical as many people may not find it easy to get out of this phase. Not everyone will reach this stage. Sometimes, we may not have the ability to make peace with the death of a loved one. Acceptance is often confused with the notion of being “OK” with or “getting over” what has happened. My mom passed away in 2001. Eighteen years later and neither am I okay with or have gotten over it. I doubt I ever will. For me, acceptance means knowing and accepting the reality of life without a loved one. Acceptance of the fact that this reality is a permanent one I have to live with. A time to readjust and reorganize our lives that have been forever changed. Knowing that there will be good days and bad days ahead, and making the choice to continue to live and love life. Acceptance means we change, we grow, we evolve. No two people cope with grief and loss the same way. It is a deeply personal and singular experience. I have four siblings and we each coped with our mother’s death differently, just as we are doing now with my father’s passing. You just have to help yourself heal. Surely, there are similarities, but nobody can understand all the emotions that each individual goes through. We can be there for one another and comfort each other through the process. If you’re uncertain about whether your grieving process is normal, consult your health care professional. Expert and specialist help is often beneficial to people trying to recover and adjust to death, grief, and loss. Don’t judge your emotions or compare yourself to others. Each stage will come with different levels of intensity. Contrary to what many believe, the five stages of loss do not necessarily occur in the order listed above. These are just guides in the grieving process to help you understand and put into context where you are. We often move between stages before we achieve the acceptance of death. None of us knows how long each stage will last until we reach that point. Or if we ever will. What I do know is someday the pain will lessen, leaving you with cherished memories of your loved one. Have you had to cope with grief and loss? Lost a loved one, a job, your home or health? As always, please share your thoughts and comments, with me below. Your experiences shared here can go a long way in helping someone. It’s all about acceptance and coping with the loss. We need moral support so that it will help us alleviate the pain. Everything happens for a reason, My heart an my prayers are with you dear. All the best still! Everything happens for a reason whatever your situation right now my heart and my prayers are with you. I remember hearing about this in the news I am so sorry for what you and your family are going through. My mother died last summer. She had been sick for a while so it wasn’t a complete surprise but I think I will still be dealing with it for years. Since then I have been taking care of my dad — he will be dealing with it for the rest of his life. It takes time but healing will come! There are so many types of loss and grief. I just found out my favorite aunt has Stage 4 cancer and doesn’t want to treat it. She is alive but we’re all grieving just the same for her, and for us. this article is so well written, but so sad 🙁 i can’t imagine losing someone close to me. i feel like it would take a lot for me to heal from the pain, but trying to stay positive is key – as hard as it may be at the time! I am so sorry to hear about what happened to him. You are so right, acknowledge the pain, let it all out and let the process of healing yourself take place. I wish you all the best. It is not easy to replace someone and neither it is is easy to cope with the loss of your loved ones. But then like a river life just moves on. This is deep. It’s always hard to get over someone you love. I’m sorry for your loss. I know you’re strong and you can get through this. Prayers for you and a virtual hug. My biggest losses in my life have been my grandparents – although I was happy to see their suffering end, I still miss them SO MUCH every single day. I’m not sure that will ever go away. It’s a hard thing. And I am so immensely sorry for your loss. I’m so sorry to hear about your loss. I am still grieving the loss of my mom many, many years later. Grief and loss are awful things aren’t they – I think we all go through them in different ways and need time and understanding from others. Wow! I cried the whole way through this article. I can not imagine what you are feeling. Please know that my prayers are with you. I am truly sorry for what you’ve been going through, this is tough but it is amazing how you’re trying to help other people by sharing your story, respect! The process of dealing with death can take a long time. So sorry to hear about all these losses. I am so sorry you have been grieving so many losses in the past six months and very saddened about how you dad passed away in that plane crash. I have also lost someone close to me and getting to the acceptance stage took me a long time. Everyone really grieves in their own way. It is important to be able to take that time to heal in your own way and really process it. That is very true, it has been tough, but it is a process that is necessary. It’s hard when you lose someone you love. This is a helpful post to deal with the sadness that comes with it. I always try to think of the good times I did have with the person. I agree, those memories are the one thing that can never be taken away, which is why it is so important to cherish them. Wow, I am so sorry your loss of your father. Love that you have used this to help others going through a similar grieving process! Sending lots of love your way! My mother passed away last February. She lost her battle with breast cancer. I thought I was prepared for her passing, as I was the one who took care of her every day. But no. I was not in any way ready to lose my mom. I am seeking an appointment with a psychiatrist because I am so depressed that it is affecting my relationship with my family. I am always tired and I crave long hours of sleep, which is my way of escaping the reality of my mother’s death. Hi Kristine! I can totally relate to you. My mom lost her battle to breast cancer as well. I was definitely not prepared for that and till this day I am not over it. I think seeking help takes a lot of courage and you have already made that step. I hope you are able to work through your pain. You don’t need to “heal” faster than anyone else. We all process it different. Wishing you good moments, sending you positive vibes. You can do this. Love and light. Reach out if you want to chat. xoxoxo S.
Thanks for sharing. Dealing with those types of emotions are never easy. Really helpful! Thank you so much for sharing!! That is really a tragedy about what happened to your father, and it is hard to process it when the news come all of sudden. I have lost my loved ones and I learned during the process that there is no time limit to grief, and beautiful memories will keep us going and continue to be strong. Thanks for sharing your personal story and your tips. Thank you so much Erin. I agree that there is no time limit and even though it eases the pain as time goes on, the grief still remains in some form or another. I really hope that you can find peace Artch. It is tough but part of the process Just remember it will get easier. Thank you so much for sharing this with us Sheri. I’m so sorry to hear about the losses you have experienced. I think it’s wonderful that you’re talking about it and helping to inspired and aid others through their own grief. We all deserve to have the support and tools we need to get through a difficult time or mourning. Sending so much love your way ♡. So sad to hear this. May his soul rest in peace. You are strong enough to talk about it. May God give you peace of mind. And all of us the strength to face such difficult periods. Thank you so much. Prayers always help and guide me to peace. Grief and loss are so hard. Sometimes, you don’t think you’ll ever get through it. I love that you shared all this information AND your personal story. I’ll be keeping you in my thoughts. Thank you so much Melissa. It has been rough losing all three in half a year. We just have to move through as best as we possibly can. Thank you for thinking of me. <3 S.
Coping with loss is always difficult. I like how you laid out all the different stages. I try my best to think about the positives and the good times. That’s really all one can do! That’s very true. Good memories have kept us going.